Jurassic World: Fallen Kingdom is the official title of Universal and Juan Antonio Bayona’s 2018 blockbuster, that much we know, but even after last week’s suitably old-school poster reveal, there is still a tantalizing sense of mystery blanketing Isla Nublar and its neighboring islands. That’ll no doubt remain in place until the sequel’s first teaser trailer roars online – word is that it’ll drop next month, likely in and around San Diego Comic-Con – but there’ve been rumblings that Bayona’s bringing all of his filmmaking experience to bear to craft a horror-oriented tentpole that is more intense and much scarier than its monstrous predecessor. Story-wise, there’s even been chatter of genetically modified dinos that may well dwarf the Indominus Rex of Jurassic World, and the fragile coexistence between those man-made beasts and humanity itself will seemingly lay the foundations for a parable on animal abuse. Beyond that, though, there are precious few details currently available for Fallen Kingdom‘s narrative, one rustled by up Derek Connolly and Colin Trevorrow (Star Wars: Episode IX), but thanks to a set photo unearthed by Jurassic Park Motor Pool (via Screen Rant), we know it’ll make room for a bout of nostalgia. 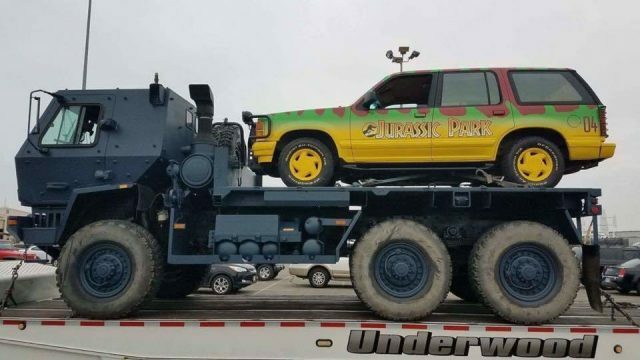 Remember those iconic tour vehicles that took Tim and Lex Murphy into the bowels of Jurassic Park back in ’93? Turns out they have a role to play in Jurassic World: Fallen Kingdom (see the photo below). 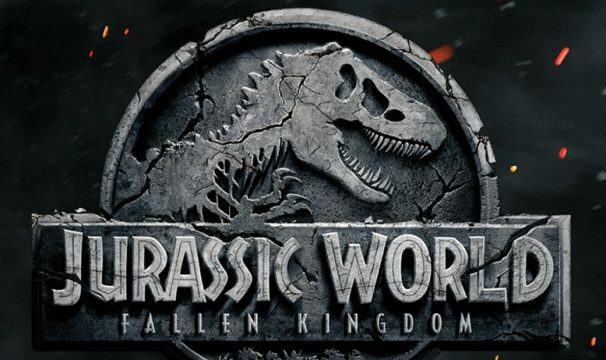 Also starring Sherlock‘s Toby Jones, Daniella Pineda, Justice Smith and Rafe Spall, Jurassic World: Fallen Kingdom is booked in for a release on June 22nd, 2018, and if it somehow manages to emulate the runaway success of its predecessor, Universal will have another billion-dollar hit on their hands. A third and perhaps final installment in the rebooted franchise is also on the cards, and will likely be with us in 2020, providing everything goes according to plan.